Kuwaiti newspaper reports on deal whereby Israeli spy's remains will be returned in exchange for military flexibility on northern border. 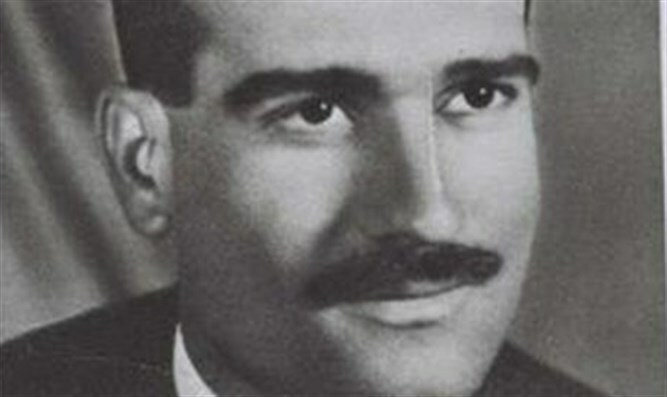 The Kuwaiti newspaper Al-Jarida, considered one of the most reliable in the Arab world, reported Thursday that Israel is very close to achieving a return of the remains of legendary Israeli spy Eli Cohen to Israel. Cohen, an Egyptian-born Jew, worked as an undercover Israeli agent in Egypt and Syria before he was discovered and hanged in 1965. By the time of his discovery, Cohen had managed to climb the ranks of the Syrian Defense Ministry, becoming the top advisor to Syria’s Defense Minister. According to the report, Israeli intelligence received very accurate information about the place of his burial and personal possessions held by Syrian authorities. It was also reported that an agreement had been reached to transfer the located remains for DNA testing, and if it turned out that they were Cohen's, Israel would be willing to relax its position regarding the deployment of the Syrian army along the northern border. No response was received from Cohen's family. Since being caught and executed in Damascus, Cohen's family has tried to locate his burial place and bring him for burial in Israel. In the past decades, despite political talks with the Syrians, there has been no progress on the issue.